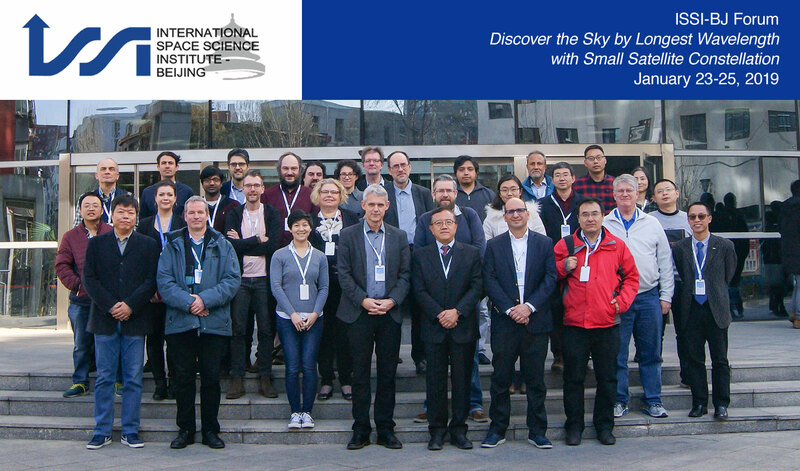 On January 23-25, 2019, ISSI-BJ Forum on “Discover the Sky by the Longest Wavelength with Small Satellite Constellation” was successfully held at our premises. About 30 leading scientists from 10 countries participated in this forum, which was convened by Xuelei Chen (NAOC, CAS, China), Ji Wu (NSSC, CAS, China), Jack Burns (Colorado University, USA), Joe Silk (JHU/IAP, USA/France), Leon Koopmans (Groningen University, The Netherlands), Hanna Rothkaehl (SRC, PAS, Poland), and Maurizio Falanga (ISSI-BJ, China). The aim of this ISSI-BJ Forum was to discuss the problems of low frequency radio observation, which is hampered on the ground by the ionosphere and man-made radio frequency interferences, and so far our knowledge about the sky in this part of the electromagnetic spectrum is very limited. The scientific problems related to this include e.g., the cosmic dark age and dawn, the Sun, planets and exoplanets, interstellar medium (ISM), galactic structure, radio galaxies, quasars, clusters and intergalactic medium (IGM). During the Forum, the participants discussed various science problems related to the low frequency radio, such as the signature of cosmic dark age and dawn, the solar system, galactic and extragalactic sources, the propagation effects, and data analysis methods. 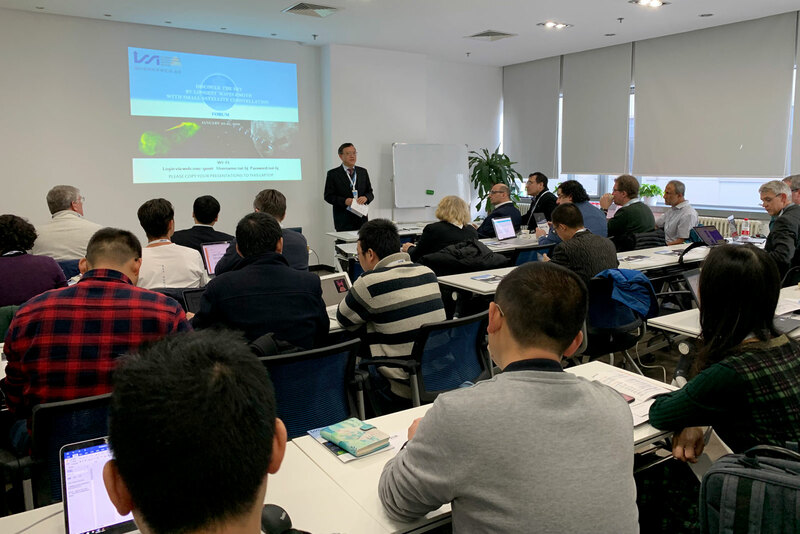 The Forum started with a short introduction to ISSI-BJ, given by Maurizio Falanga (Executive Director of ISSI-BJ), and an introduction to CAS Strategic Priority Program on Space Science by Chi Wang (Director General of the NSSC, CAS, China). Following that, the future low frequency space missions were discussed, such as SUNRISE and DSL Mission at Lunar Orbit. The rest of the first day, as well as the beginning of the second day of the Forum were dedicated to the expert presentations on various science cases related to the low frequency radio. 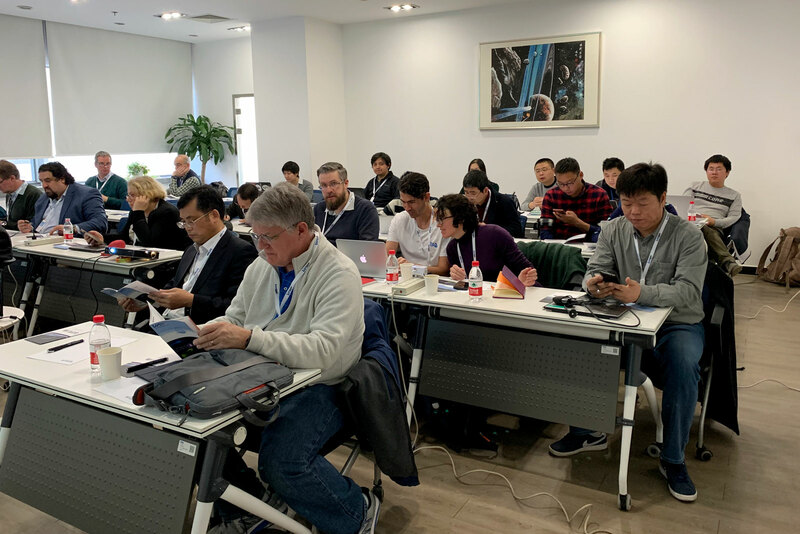 During the rest of the second day, global spectrum experiments were introduced and discussed, followed by the talks on past and current space missions, such as CE-4 Longjiang, CE-4 NCLE, and CE-4 LFRS. The first half of the last day of the Forum was dedicated to the topic of the instruments and technology for space missions. Finally, the Forum Participants had an open discussion on science and technology of the missions, the international collaboration, as well as on the future work plan, including outline of the forum report. An issue of TAIKONG, the ISSI-BJ magazine, devoted to the content of this Forum will be prepared and distributed to the science communities and space science institutions.